Halo 5: Guardians was launched by 343 Industries over two years ago, but the developers have been constantly updating the game with a ton of free content. The latest update, dubbed Overtime, has introduced the highly anticipated Xbox One X update ahead of the console’s November 7th official release. Spanish YouTuber ElAnalistaDeBits posted a 4K video comparison of Halo 5 running on Xbox One and Xbox One X, which we’ve embedded below. As you can see, there’s a major visual upgrade going on – obviously, texture definition has been massively improved, but texture filtering and draw distance have also been enhanced with the Xbox One X hardware. While Halo 5: Forge can already be played in 4K on Windows 10 PC, Forge only allows playing Forge maps online while the rest of the game (campaign and proper multiplayer) is still only available in Halo 5: Guardians for Xbox One. Unfortunately, the game doesn’t really have built-in support for HDR as Frank O’Connor, Halo franchise development director at 343 Industries, mentioned in late September. This is because Halo 5 was developed when HDR was still far from being as widely available as it is today. On the other hand, the more recent Halo Wars 2 real-time strategy game doesn’t have this issue and its Xbox One X update added both 4K resolution and HDR support. As for the next main chapter in the franchise, it’s highly likely that 343 Industries will be introducing it during E3 2018, scheduled for June 12-14, 2018. 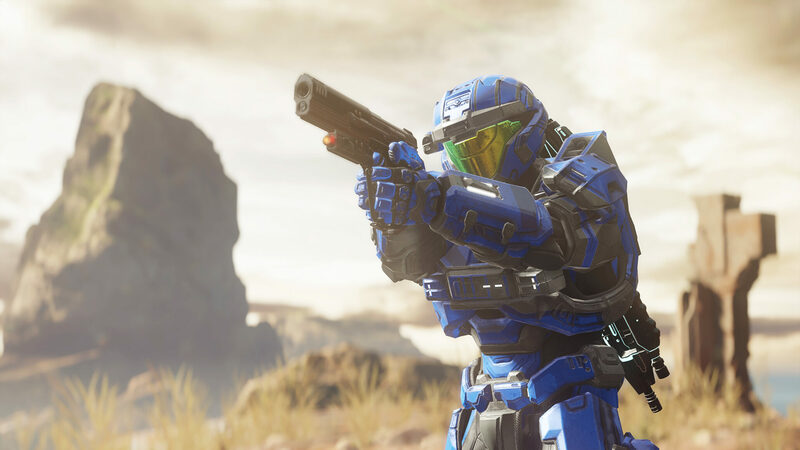 We don’t know much about this upcoming project yet, except that the developers have received the Halo 5 feedback and will double down their focus on Master Chief, as you might recall from our report.